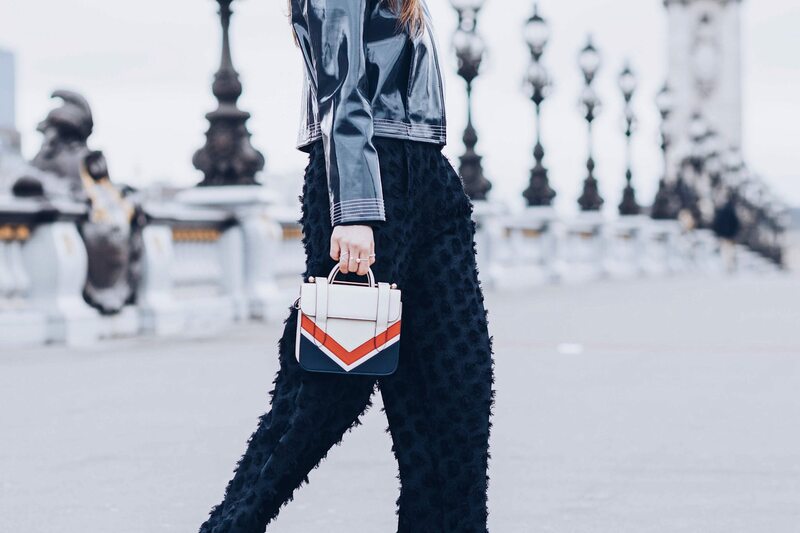 From the runway to the street, the animal print is on trend this fall 2018. Discover some ideas on how to be chic with the leopard print and how to wear the animal print at work. 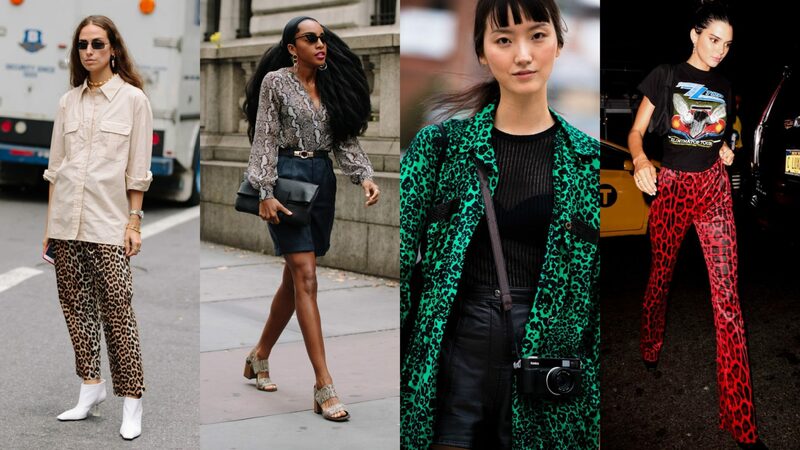 This fall, the street style stars are definitely the leopard print and the snake print. We can definitely invest in this trend, as it will still be major during Spring 2019. 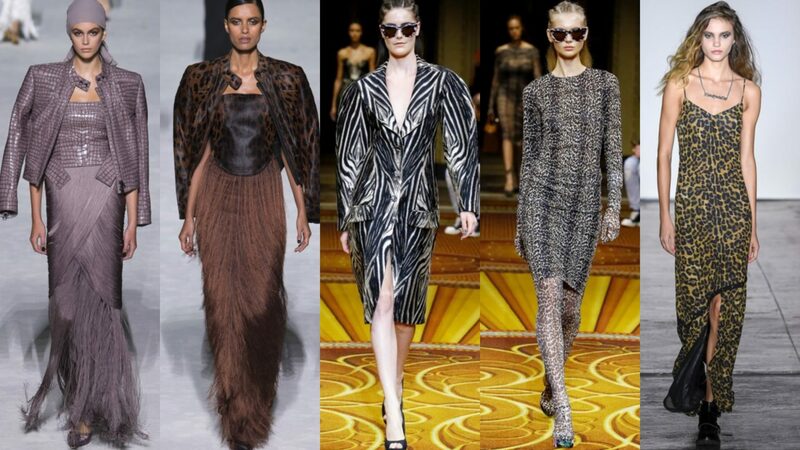 Indeed, we saw the animal prints on major runways such as Tom Ford, Christian Siriano, Nicole Miller. To wear this bold print on a daily basis, I found a great outfit at And Other Stories. The colors are neutrals which are perfect for work. Moreover, the cut of the blouse and pants are very elegant with a 70’s touch. I also love the fact that this outfit is easy to mix and match with other pieces. Outfit details: Animal print blouse and pants: And Other Stories / Lauren Handbag in brown: Tara Jarmon. I also love the midi flowing leopard skirt (below). This skirt is easy to style with a solid jumper or a blazer. You can also invest in a leopard coat which is timeless and it goes as well with a grey suit or a denim pants or black pants and a white t-shirt. I love the effortless chic coat from – see below. For a rock outfit: the leopard suit or the snake print will definitely be on point. Read more about leopard looks with Maje in this blog post and learn about other fall fashion trends in this blog post. How to style the A line shell skirt? I love leopard print! Even if it weren’t a trend I’d be wearing it, but hey, I’m trendy without even trying to be haha. Thanks for breaking it down girl! love how you mixed the two prints – so chic! Your top and the leopard coat are life! I need them asap! Thanks Helena! I need them all!!! Animal print is one of my favorite – zebra, leopard – they all look so good. I’m glad that this trend is going to be here this season. the animal print trend has been so in lately especially the leopard print! i personally don’t wear animal print much but i think i could see myself getting into it this fall! thanks for sharing babe. Thanks Sharon I love to experiment with this trend this season too! So excited for Fall and totally ready to bring out the leopard print!! Love this trend! Thanks Kileen! So excited by this trend too! I LOVE when people layer prints, not to mention animal prints – so chic! Love a leopard accessories! Shoes or belt you can’t be wrong! Animal print is going to be my thing this Fall!! I’m loving all of the looks I have seen! This is such a great and bold trend for the fall! Thanks for the tips on how to wear it! Animal print is always so classic trend for fall. Love your blouse!! Animal prints are so in style right now and I love how you wear them. That pants set is my favorite! You look chic girl!